Cleaning the ocean floor, one dive at a time. Miranda Krestovnikoff reports from the seabed as she joins a new marine clean-up squad. Cleaning the ocean floor, one dive at a time. Miranda Krestovnikoff reports from the sea bed as she joins a new marine clean-up squad. Miranda joins NARC - Neptune's Army of Rubbish Cleaners - in their war against marine litter. 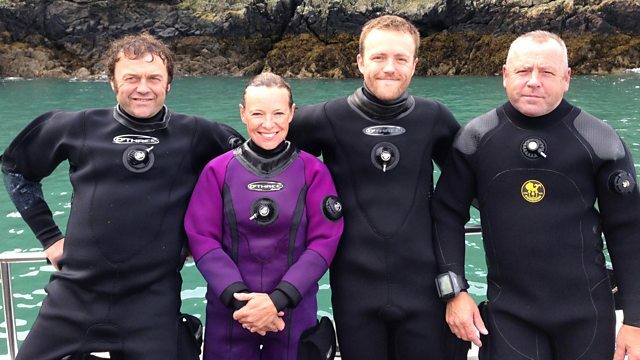 Dave Kennard and his band of ocean cleaners dive off the coast of Pembrokeshire recovering fishing gear, bottles, cans and a whole miscellany of unwanted rubbish. They've found trolleys, whole cars, and even the kitchen sink. This week Costing The Earth looks at the problem of marine litter that sinks to the sea bed. What we see floating on the surface and washed up on beaches is only the tip of the ice-berg. It is estimated that 70% of litter that gets into the marine environment sinks. Miranda meets scientists and divers doing their best to combat the problem. A collection of radio programmes looking at our impact on the oceans.